Renata Novotny has been a lawyer since 1989. 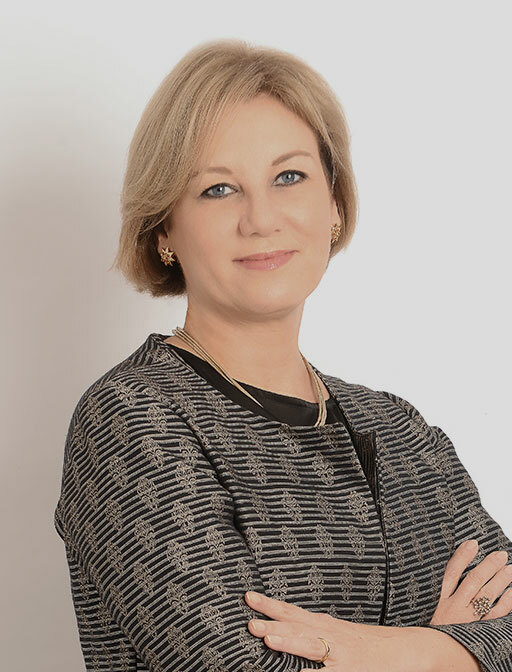 She is a founding partner of Novotny, Ney, Saldanha, Penna, Ponte, Vianna & Corrêa Advogados and has extensive experience in tax, social security, corporate, and customs law. She is the coordinator of Novotny Advogado’s Tax Department. Renata represents domestic and international clients of all sizes and of different economic sectors, including individuals. She specializes in tax and social security law, providing legal counselling and due diligence services in M&A and other business transactions. She also represents clients in litigation. Her work in litigation includes preventive counseling, advising on strategies and assistance with audits conducted by tax authorities. She conducts important leading cases. Renata also assists clients in corporate law and M&A transactions, Central Bank regulations and private equity, having experience in joint ventures, international investments in Brazil and Brazilian investments abroad. Her works includes the analysis of tax and foreign exchange regulatory aspects in corporate reorganizations and restructurings, including those involving foreign trade transactions, customs law, international investment and financing, including the issuance of securities abroad. She also has extensive experience in reviewing tax issues related to taxation regimes, treaties to avoid double taxation, tax benefits and transfer pricing, among other issues. She also has vast experience in coordinating the preparation and review of ancillary obligations, such as individual tax returns, statements of Brazilian capital abroad, electronic requests for restitution of overpaid taxes, and compensation statements. Renata also assists clients in opening offshore entities and changing tax residence to other countries or to Brazil. She is regularly nominated by Legal 500, Latin American Corporate Counsel Association - LACCA and Análise Advocacia 500, in the tax area. She has authored articles published in specialized magazines and is also a member of the Brazilian Association of Financial Law (ABDF) and the International Fiscal Association (IFA). Renata also has extensive academic experience, teaching several courses and lectures on subjects related to tax and business law, having been, for many years, a professor of “Corporate Reorganizations, Incorporations, Mergers and Spin-offs” in the graduate law course of PUC-Rio.